Much of what will unfold in the slotting of players requires a deep explanation and understanding. 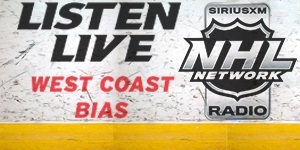 From a 30,000 ft. level, there are two primary factors that go into our rankings – asset value and NHL readiness. For much of Dean Lombardi’s tenure after 2010, a greater weight was placed on the NHL readiness quotient. For the most part, the Kings had their roster filled out. During those years, it was about prepping players to fill a specific box. Kyle Clifford is the perfect example of this. In a normal world, he wouldn’t rank very high on a prospect list. However, if you read what management had to say here, you’ll get a better understanding of just how important he was to building a Stanley Cup contender. Fast forwarding to the current state of the Kings and you’re dealing with a very different picture. Major roster turnover is underway and the team will be going through a complete metamorphosis over the next 18 months. With that in mind, the weight has shifted this year – and asset value is crucial. As we begin rolling out this year’s Top 10, be sure to keep a few additional things in mind – especially if you’re unfamiliar with our previous rankings. 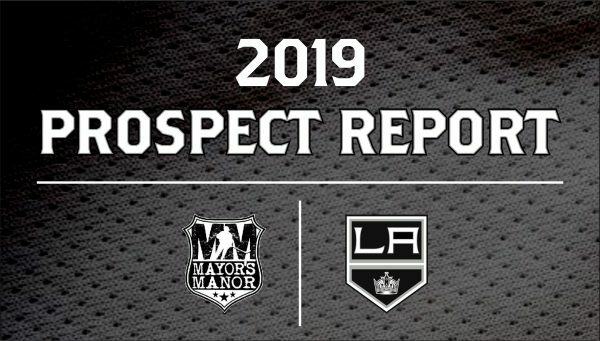 For nearly a decade now, this content has become a vital source of player information, as nobody outside the Kings organization talks to more coaches, scouts, and General Managers about LA’s top prospects on a regular basis than the team at MayorsManor. Endless hours go into evaluating players in the Kings pipeline and preparing our write-ups. 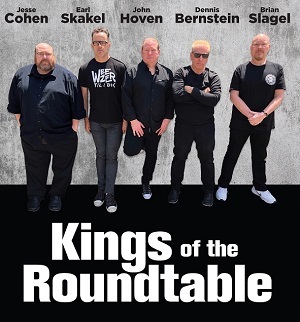 Additionally, the final slotting of players is influenced by hundreds of hours of game action and debating the team’s prospects with a myriad of well-respected hockey people, including our key sources inside the Kings organization. Yes, we had a tie at one of the positions on our list last year and we have another one this year, only it’s a three-way this time around. This almost isn’t fair to the players involved. Yet, personal preference plays such a big part of player evaluation that you’re splitting hairs a bit here. Here’s a winger who has done just about everything you can ask of a first-year pro playing in the American Hockey League. Rempal signed with the Kings after being one of the three most sought-after college free agents last spring. 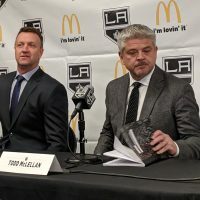 Following just two years at Clarkson University (home to former Kings Dave Taylor and Willie Mitchell), he wanted to take his craft to the next level and push for an NHL job – something he’s well on his way to earning. In 32 games with Ontario this season, Rempal has recorded 30 points (11G, 19A) and was named to the AHL All Star Game. 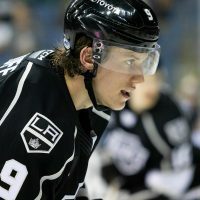 Largely due to injuries within the Kings roster, Rempal has been called up twice thus far, playing a total of seven NHL games. He’s yet to record his first point, and that’s just fine. It will come. What impressed the Kings brass most was how he responded to being sent back down. Sure, every player wants to be in the NHL. However, as it was told to us, he didn’t pout or anything; Rempal simply continued his pace with the Reign. There’s a lot to like with his overall game too – such as, he commands the puck on the power play. He also likes to control the entry and his first idea is typically to shoot, not pass. “Which isn’t a bad thing,” one team executive said with a chuckle, while we recently discussed Rempal’s ongoing development. When watching him do things in the AHL, and then projecting to what he’ll be in the NHL, one has to be cognizant that there’s a little less room in the latter. Rempal will need to show that same level of tenacity away from the puck that he has with the puck on his stick. He is one of those players who should thrive when skating on a line with great players. That privilege must be earned. Rempal brings an element of skill and quickness. We’re not sure he’s necessarily fast, but certainly quick enough to dart into holes or areas on the ice, as needed. He’s guilty of overhandling the puck at times. Said differently, he tends to play a one vs five game, rather than utilizing teammates more. Rempal is smart enough to get open, yet occasionally takes himself out of position by going to areas he finds comfortable on the ice. Rempal’s compete is on display most when he’s trying to score. That type of compete also needs to be there on the defensive side of the puck and in other areas. Not surprising, the team’s development staff noted that he’s still working to make a better commitment to his defensive zone assignments. Gaining strength remains Rempal’s biggest area for improvement. You get leaned on a lot in the NHL. While he’s able to get away from some opponents in the AHL, it becomes a greater challenge when opposing guys on the big stage. Simply put, now he needs to get an NHL body. Currently, if his strength and body let him down, his compete is high enough to help overcome it somewhat. However, that most likely wouldn’t work playing with the Kings. He’s way behind the physical development curve; he’s just not strong enough. This summer will be huge for him. 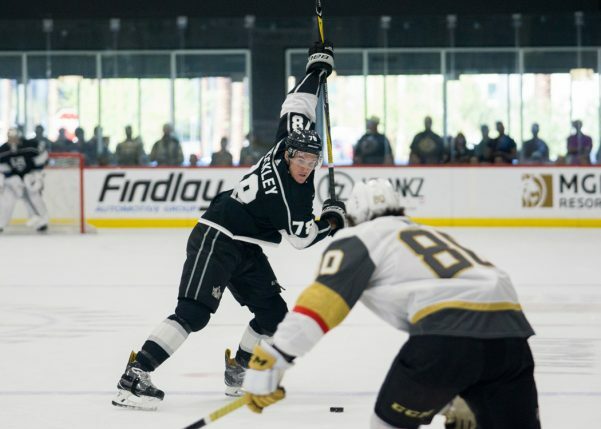 He saw what needed to be done last summer, when he received his first exposure to what’s really expected of an NHL prospect during the offseason. 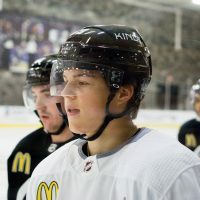 Armed with that knowledge and what will be a year of pro experience, the Kings will look for him to have one of those breakout summers where he really lives it – and the development staff starts raving about him. Rempal certainly worked hard last summer. This is about something different, though. Some guys think they get it. Then, they spend time surrounded by other pros and they realize their previous best effort was a level or two behind the guys at the front of the line. Over the past nine months, he’s been exposed to all facets of what it takes to be a professional hockey player. In a sense, he now has the answers to the test. As such, this is a bigger summer than last summer because now he has the roadmap. Does he want it? It’s up to him. Last summer was all about learning what to do. This is about applying what you’ve learned. Make no mistake about it, everybody is happy with him. He just needs to be stronger. Standing 6-foot-1 and hailing from Canton, MI, this right shot defenseman is coming to a town near you, so get ready. He’s expected to be in the NHL sooner, not later. 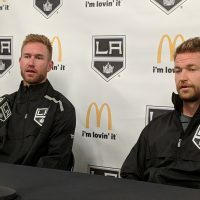 To hear people inside the Kings amateur scouting circles tell it, they knew they were going to draft Roy within minutes of meeting him for the first time. He just made a huge impression – reminiscent of the type of impressions Kyle Clifford and Austin Wagner made in their pre-draft interviews. That doesn’t mean they wanted to take him in the first round. After watching him play, they thought he warranted being a late round pick. Then, after talking with him, the staff was convinced he had the proper intangibles, even though he was viewed as a longshot as an NHL prospect. 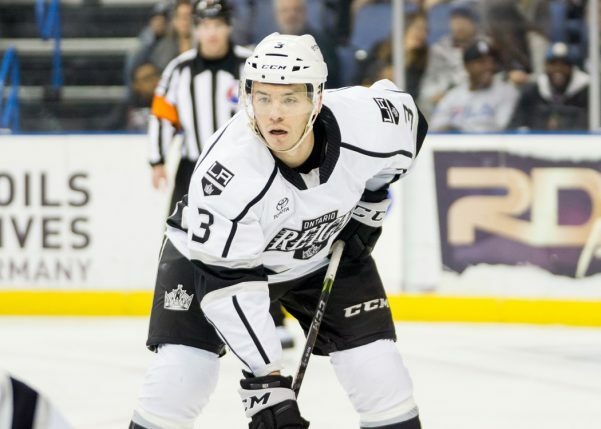 And, now, in his second full season with the Reign, Roy is finding the top end of his potential. He’s been one of the two best students in development. Roy has spent a tremendous amount of time working on his game. For example, he has really worked hard to improve when to have one hand on his stick and when to have two. He’s a coach’s dream in that he requires zero maintenance, simply does his job and pays attention to details. Across the board, Roy is regarded as a very steady player – reliable; not flashy by any means. He’s what a true defender is supposed to be. Roy settles things down in his own end. Further, what you see at the AHL level is what the Kings are expecting once he reaches the NHL. He’s also added a little more offense to his game this year, as he’s already exceeded last year’s goal production and pushed his points-per-game up from .347 to .615 (through the end of January). Ontario coach Mike Stothers hasn’t been afraid to play him big minutes and in important situations. Roy is the most NHL ready of the three players in this group. He is just lacking experience and waiting for his opportunity. 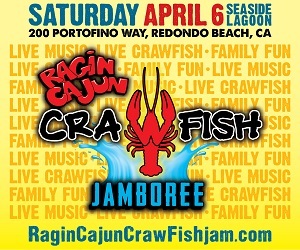 Look for it to come very soon. Further complicating the debate, while his American League play has been average, the consensus is his NHL play has been much better. In the first three games of his four game call-up, Brickley actually looked better than he had most of the season with the Reign. 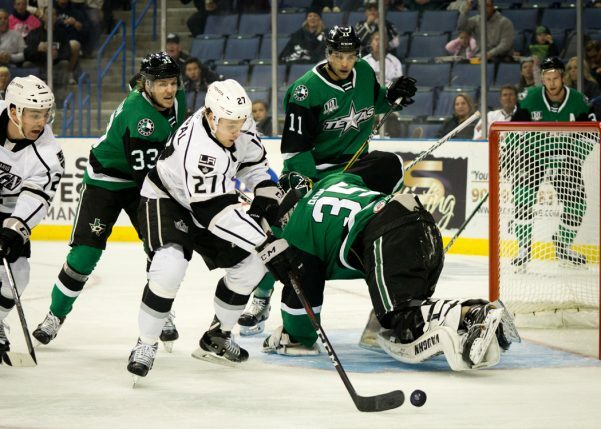 Shortly after his return to the AHL, Brickley was injured during a game on January 9th in San Jose. He was expected to miss about 4-6 weeks, so management remains hopeful he’ll be back on the ice in the not too distant future. He appears to be more focused and a concerted player when he’s with the Kings. Yet, he can’t take the AHL for granted; it’s part of the process. He has to put the work in to achieve his full potential. In general, there’s still some work to do with the lanky defenseman. Like with Rempal, it’s important to remember these guys were in college a year ago. For Brickley, a mobile puck mover, his game has to get harder. There has to be a firmness to his game – including when he goes back to get pucks. For a big guy, 6-foot-3, it was a bit surprising to see him get bumped off of pucks so easily in the NHL. That’s something Sean O’Donnell will have to help him with. As we understand things, Blake did talk with him over the summer (something he typically doesn’t do with prospects during the season – letting the development staff and Stothers take over), to make sure Brickley understood the big difference between expectations in the NHL and college. They discussed what it takes to do this every day; the focus, the preparation for practice. Patience seems to be paramount here, as Brickley has occasionally been relegated to third-pairing status with the Reign. Although there clearly needs to be some polish to his game, Brickley absolutely has the tools necessary to defend. He isn’t Robyn Regehr, where you could point to his skating as being a concern. When they signed Brickley, he had first power play potential, a bomb of a shot, and he skated with power. The one thing he didn’t do well in college was defend. It’s not dissimilar to Kale Clague, except for the fact the WHL product seems to have bought in quicker, at least when it comes to what’s needed at the pro level. These college free agents, who most of the time weren’t even drafted, everybody – media included – often becomes enamored with them. Landing Brickley was a major accomplishment, as he was the No. 1 unrestricted college free agent last year. And seeing him play alongside Drew Doughty during training camp didn’t do anything except stoke the fire. Reality is, he’s not quite ready for primetime yet. He has huge upside, but you can’t rush the development process. Brickley feels he is NHL ready already and having a high level of confidence can be a good thing. However, he must listen and apply the adjustments offered to him. It’s important to trust, not resist, the process. His recent injury was really unfortunate because we were starting to see a change in tone in the reports we were getting. Brickley was making positive strides. Again, patience is the key moving forward. If you missed any of the previous articles in this series — including our Honorable Mentions, guys just outside the Top 10 — click here to catch up.